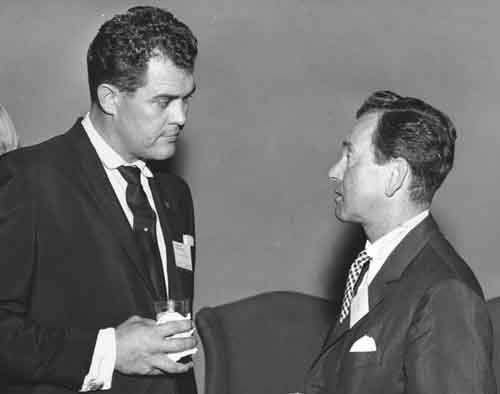 In November of 1953, Jack set a record that still holds to this day; he became the youngest Porsche dealer ever at the age of 29. Here is a picture of his first dealership at 13323 Ventura Blvd in Sherman Oaks CA. Check out the custom Neon sign! 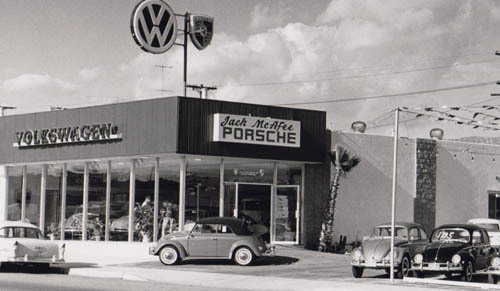 At this same dealership on the morning of September 30, 1955, James Dean and Porsche mechanic Rolf Wutherich visited Jack before leaving later that day on their ill fated trip to Salinas CA. Emmy award winning writer Jack Douglas was also at the shop during Dean's visit and recounted the event in his book "A Funny Thing Happened To Me On The Way To The Grave". After operating out fo the Sherman Oaks location for 6 years, Jack found a vacant lot in Burbank and built a new dealership in 1959 at 1108 N. Hollywood Way. In addition to finally having enough space for a proper service and parts department, the Hollywood Way location was also close to the nearby Lockheed factory. Many aerospace engineers, including the Lockheed brothers themselves, bought Porsches at this dealership. Additionally interesting was the Dealership's Grand Opening where none other than Dr. Ferry Porsche himself was in attendence. 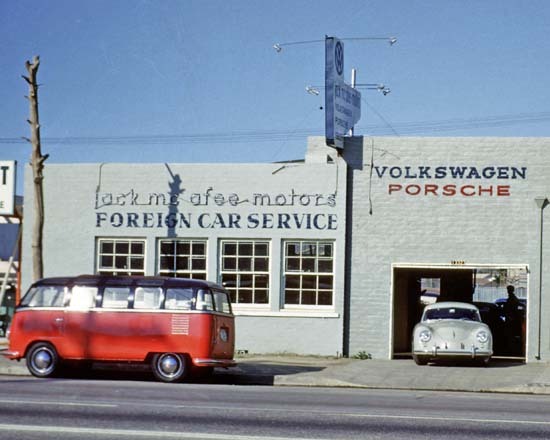 With the growing popularity of the economical VW Bug, McAfee still needed more space and built his 3rd and final dealership at 825 N. Victory Blvd in Burbank. The dealership was eventualy sold in 1974 when Jack retired from the car sales business.